It is hard to imagine the moon as “tranquil.” To get there you need the most powerful rockets on Earth, creating millions of pounds of thrust via controlled explosions, ripe with decibels and rocked with debris. You need quick thinkers on the ship, on the ground and on the pad. You need money—lots of it. It seems everything needed to get to the moon is far from tranquil, in fact, it is deafening. And yet, only moments from this writing forty years ago, the moon became just that—tranquil. The world’s first moon base directly opposed its thunderous initiation as two men sat peacefully at rest in the Sea of Tranquility. In celebration of the first moon walk the Marshall Space Flight Center organized a party at the US Space and Rocket Center under the great Saturn V Rocket. Of course I went and had a great time! 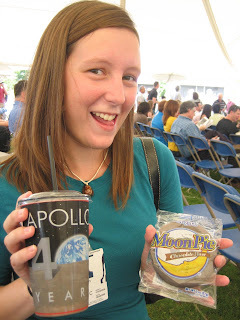 Here I am consuming my Apollo 11 Moon Pie and Coke! 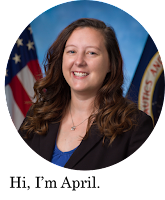 I’m so glad I was able to be here in Huntsville during this special time in our Space Programs’ history! 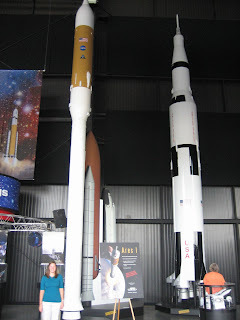 Oh, and here is a picture of me next to a model of the rocket I am working on…the Ares 1!!!! Also, in other, yet related news, I had a letter to the editor in today’s Huntsville Times about Apollo 11…which I will post a link to when it becomes available!I have now been published in three major newspapers!! !